South Africa is a country with millions of faces and landscapes, and some do not hesitate to describe it as "the whole world in one country". From the Cederberg Mountains to the Kruger Park, through the Kalahari desert and along the Wild Coast of KwaZulu-Natal or from Table Mountain to the Lost World of Sun City, South Africa is so vast that it is impossible to see everything in a short space of time. It is for this reason that the very best way to experience this collection of magnificent landscapes is simply to contemplate them from the sky. 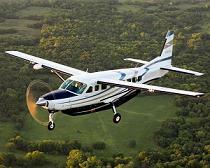 A flying safari is both unique and magical as it will transport you from a sandy desert to a mountain valley in a heartbeat. You will fly not only over herds of animals, lakes and waterfalls, but also above vibrant cities, cultivated plains, remote villages, wild coasts, and at each step you will experience breathtaking landscapes. This flying safari is the kind of once-in-a-lifetime privilege you can indulge in, because of its unmatched and exclusive routes and options and will most definitely change your view of our world. 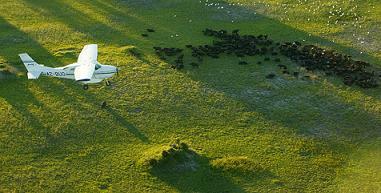 Welcome onboard for your best tours to South Africa! From the small private airstrip just outside Franschhoek (or Stellenbosch), you will take off in a comfortable plane, twin engines, and you will start your first flight around the stunning Cape Peninsula, which stretches over 70km from North to South. 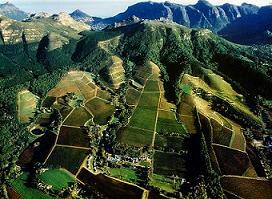 You will discover many vineyards in the Constantia or Stellenbosch regions, all of them within superb valleys. During the flight, you will taste some of the top 10 wines made in South Africa, selected and explained by our French sommelier. He will also give you historical and geological information for better understanding of the influence of the soils and the position of the vines, and consequently, on the difference between wines. A rare knowledge to better understand the world of wine! 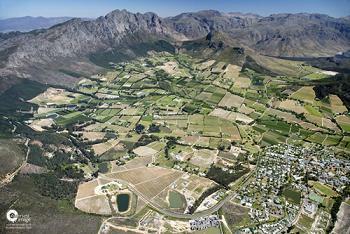 The flight will continue along the Wine Route, which stretches toward the East of the « Western Cape » region, which you will see from an unusual angle. The Paarl Mountains, the Franschhoek Valley or the lovely village of Robertson will reveal their hidden secrets and it will probably be far from what you have ever expected! We will land one-and-a-half hours later on the private airstrip on De Hoop Nature Reserve, a kind of paradise near Cape Agulhas. We will do our second wine tasting during a delicious "food & wine pairing". 2 days out of this world! From the small private airstrip just outside Stellenbosch, you will take off for your first flight around the stunning Cape Peninsula, which stretches over 70km from North to South, until the Cape of Good Hope. 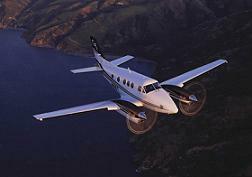 You will fly over the Western Cape Province, the most popular area in South Africa and more specifically, over the Wine Route. You will be surprised to see how much everything - such as people, roads or houses - look totally new and different from the sky! 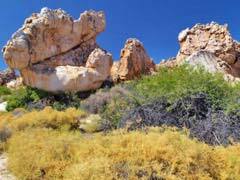 Two hours later, you will land among the Cederberg Mountains and you will spend the night in a vast nature reserve where the bedrooms are carved into the mountain stone. This place is unique. There is something very powerful about these rooted giants of stone, something out of this world. A professional guide will lead you through the Reserve and it is with silent admiration that you will discover the wilderness. Back at the lodge, a massage awaits you, followed by a delicious dinner around a campfire. In the morning, you will embark on a walking safari and enjoy a hearty breakfast served amidst the rocks, in the wild bush. The walk will continue in the footsteps of the Bushmen and you will see superbly conserved 6000-year-old magnificent cave paintings. After a light lunch, we will take off again to the east along the superb Garden Route, where we will fly over the Franschhoek Valley or above the sea, and you will be able to appreciate the freedom that a private flying safari offers... We will end our trip in Stellenbosch in the late afternoon after a very worthwhile day. On request, from R9500/pers, in All Inclusive. To enjoy the best Flying Safari, sit comfortably aboard our Piper Navajo Panther, a modern and reliable aircraft specifically suited for safaris in the bush. Settle in and taste a flute of the best "Cap Classique" from the Franschhoek valley, enjoy the comfortable seats and the legroom in the VIP cabin, and soon the silence of the engines and the stability of the aircraft will put you into a great sense of peace and well-being. 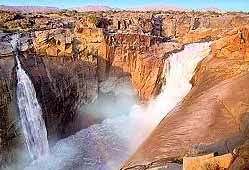 The second stage will take you to the Northern Cape Region where you will discover the magnificent Augrabies Falls, the fifth largest waterfalls in the world by volume of water. This was a sacred place for the original inhabitants - the Khoïs - who called it 'the place of great sound'. The Orange River's waters, which run through the protected, preserved and wild national park, are taken in by Augrabies and it is a sight which few people have the chance to discover. After a short rest in your luxurious lodge, you will take off again in the afternoon along the Namibian border and will appreciate the Fish River Canyon, second largest canyon in the world. 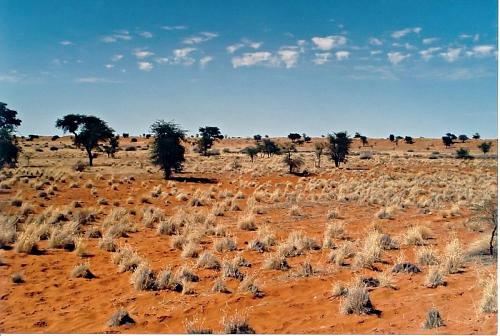 There are really no words to express the beauty of the Kalahari Desert. It is a place far from any cliché, one of those hidden gems that will certainly surprise you. Your accommodation, a member of "Relais & Chateaux", is located in the heart of the largest private game reserve in South Africa - 100 000 km2 - which you can explore on horseback. This is a great experience to get close to wild animals, those that can survive in this semi-arid climate, from the Big Five to very rare species of birds. You will fly again just to say goodnight to the stars, enjoy the sunset from up there and never stop to admire the artistic tones of the African bush. 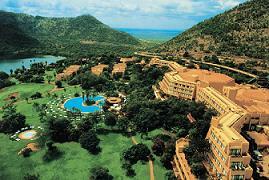 The fourth leg of your safari will fly you to a new kind of grandeur, that of Sun City. This huge resort built in the middle of a semi-arid region, about 160km north of Johannesburg, is a realm of luxury and leisure : casinos, chic hotels, man-made lakes, restaurants, bars, wave pool - the largest water-park in the world - big infrastructure, big sculptures, grand decor, extravagant details... Welcome to the world where everything, absolutely everything, is oversized. An unexpected and unique destination which we invite you to enjoy completely and without any hesitation! We leave the vibrant atmosphere of Sun City to land in the Kruger National Park, where this time, wildlife is master and human being foreigner. Founded in 1926, it is today the largest national wildlife reserve in Africa, 350 km long from north to south and 60 km wide from east to west. More than 140 species of mammals, 119 of reptiles, 517 of birds and 1980 of plants live in total freedom in this protected area. You will stay, once again, in a luxurious lodge, suited to its environment as well as to overnight guests. During this sixth part of the trip, we will fly over one of the most visited tourist destination and the most populous (9 million) Province of South Africa. KwaZulu-Natal offers a subtropical coastline where the water temperature is wonderful for swimming, but also contains the imposing Drakensberg Mountains to the west and savannah landscape to the east. You will receive a warm and unreserved welcome from the hosts at the superb lodge where you will sleep and will once again spend a very exclusive evening and night. 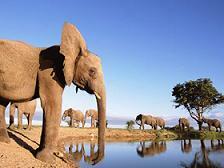 The last part of the safari will introduce you to the elephants at Addo Park in the Eastern Cape. 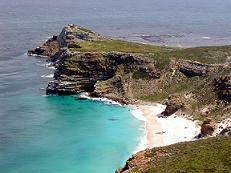 It is the 3rd largest park in the country and is situated 72 km from Port Elizabeth. Originally created in 1931 to rescue 11 sick and injured elephants, this reserve now has almost 400 elephant. These wild gentle giants will not fail to impress you and it is at close range but without intrusion that you will be able to admire them. Spacious, luxurious and quiet cottages with breathtaking views await you for another starry night. On request, from R7500/pers/day, in All Inclusive.